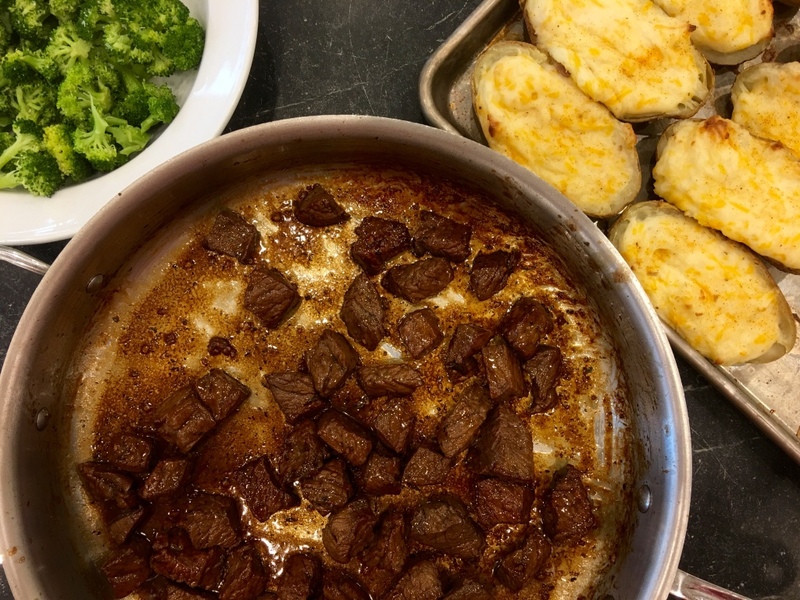 These Steak Bites seem retro to me, so I served them with twice baked potatoes and broccoli. The whole family really liked this meal! In a large ziploc bag, combine soy sauce, olive oil, lemon juice, Worcestershire sauce, garlic, Italian seasoning, and pepper. Slosh it around to combine. Add beef and marinate in the refrigerator for 3 hours to overnight. Heat a large skillet over high heat. Add steak pieces one by one (don’t just dump it all out or there will be too much liquid). Discard remaining marinade. Cook over medium heat for about 3-5 minutes. Serve with mashed potatoes or rice. Copyright © 2017 Our Everyday Dinners - This is an easy recipe for how to make Steak Bites.